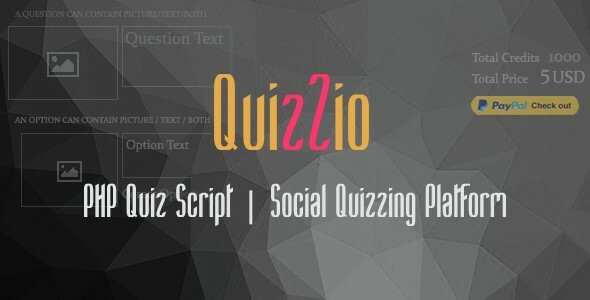 Quizzio - PHP Quiz Website Script | Viral Social Quizzes - CODELISTPRO | Free Premium Scripts, Plugins, Apps Source Code. Quizzio is a PHP based application through which you can create a quizing website. Users can play and create quizzes. They can embed quizzes to their websites. By purchasing credits they can make a quiz exclusively embedded to single domain.